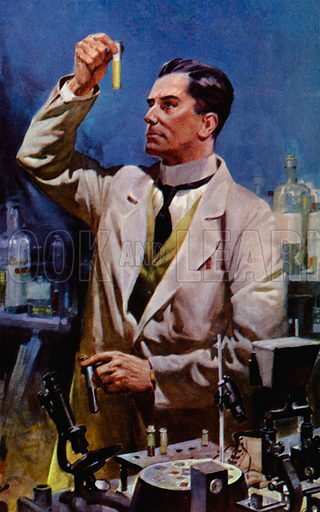 This is an interesting picture of the sometimes overlooked medical pioneer and pathologist, Sir Bernard Spilsbury, whose work in that field led to important convictions in the criminal justice system, as well as acquittals. 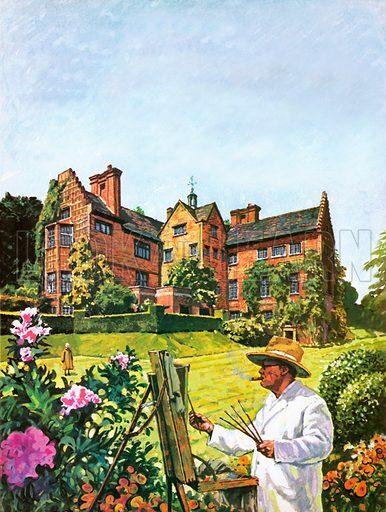 In later life he helped to deepen the understanding and study of forensic science, but he will always be remembered for his crucial role as a young pathologist whose skills and initiative helped to turn an anonymous cadaver into the credible corpse of a British officer in the great deception that was known as Operation Mincemeat. Many more pictures of medicine can be found at the Look and Learn picture library. The musical soundtrack of Britain during the Second World War is epitomised by Vera Lynn’s voice and the sentimental but nonetheless powerful lyrics of her signature song,’The White Cliffs Of Dover’. 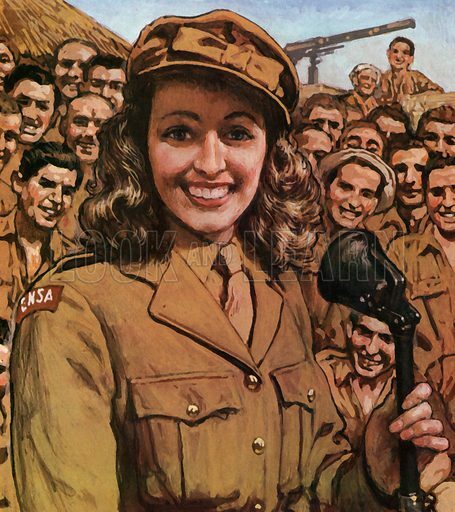 “We’ll meet again, don’t know where, don’t know when, but I know we’ll meet again some sunny day”, are words which for many still capture and express the atmosphere of those distant and perilous times, and this terrifically spirited and nostalgic picture of Vera Lynn singing for the Allied troops does much the same. 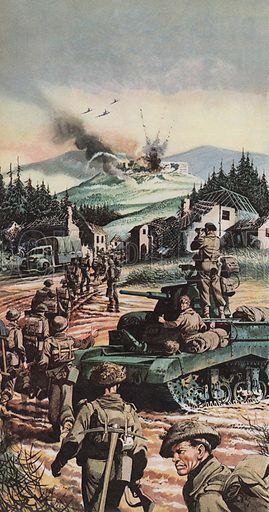 Our dramatic yet restrained picture shows the Battle of Monte Cassino, which was a hard-fought engagement between the Allies and the Germans embedded in the rural landscape surrounding the ancient hilltop abbey, a protected historic zone. The muted colours and distant explosions on Monte Cassino cleverly understate the fiercely violent battle there which saw four assaults and lasted over four months in Spring, 1944. 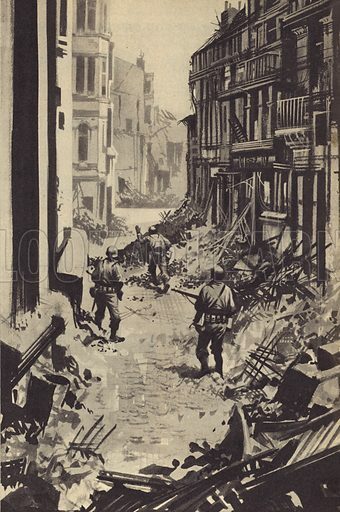 Our dramatic picture shows the German storm-troopers wreaking havoc and destruction as they swept across Europe at the beginning of the war. Code-named Operation Barbarossa, the military plan was to make swift progress in capturing territory and enemy prisoners. 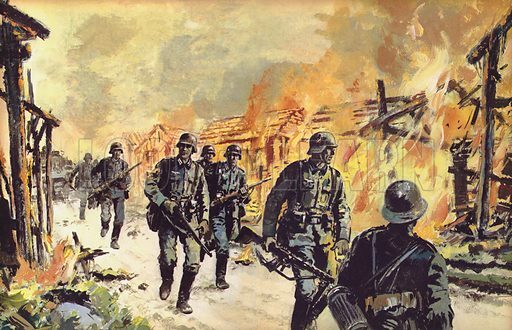 During the first 18 days of the campaign in the East, German forces had covered 400 miles and had taken 150,000 captives. 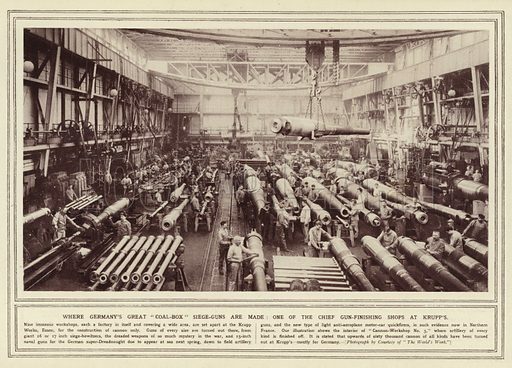 The best pictures of the Krupp Works of Essen are striking images of this titanic German industrial base which has made steel and weapons for Prussia, and later Germany, for over two centuries. 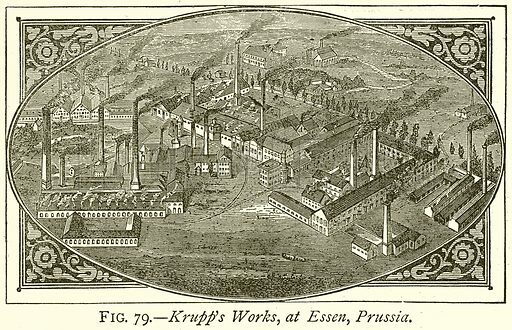 The first picture shows the Krupp Works. The second picture shows Krupp’s the munitions factory in October 1914. The third picture shows an aerial view of the works. 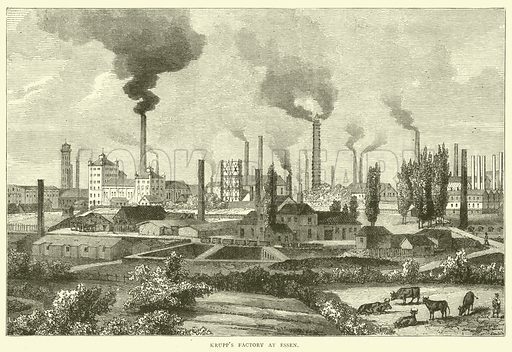 Many more pictures of industry can be found at the Look and Learn picture library. 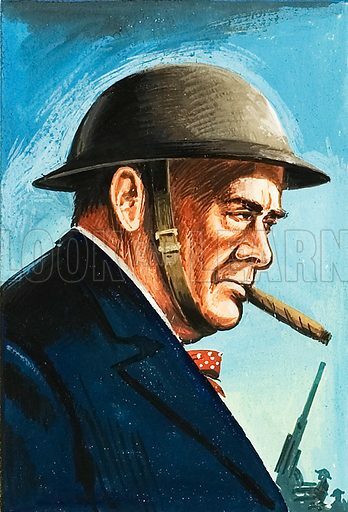 The best pictures of Winston Churchill smoking a cigar are striking images of the great British war leader in familiar pose. 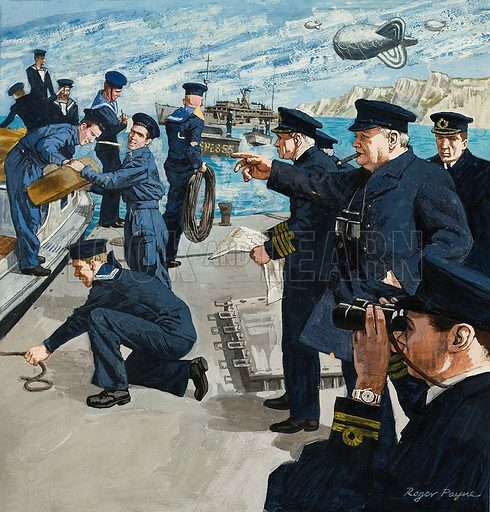 The first picture shows Churchill on board ship. 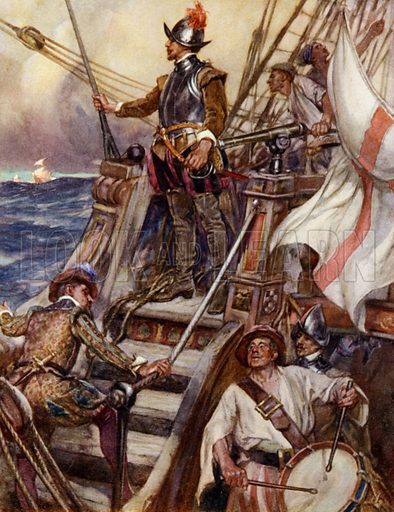 The second picture is an heroic portrait in profile. The third picture shows Churchill relaxing after the war. The best pictures of Drake’s Drum are vivid images of the snare drum Drake took with him round the world, and which became a symbol of patriotic resistance. The first picture shows the drum being played. 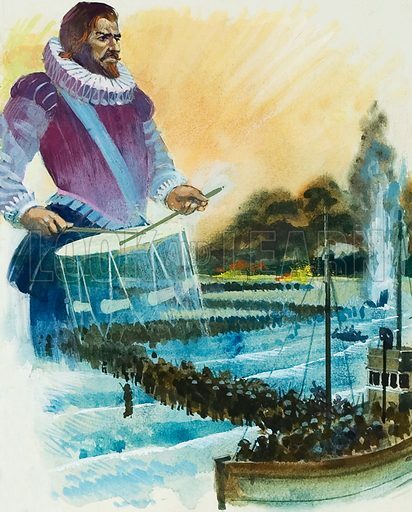 The second picture shows the legend of the drum being played in England’s hour of need, here shown to be the Evacuation from Dunkirk. 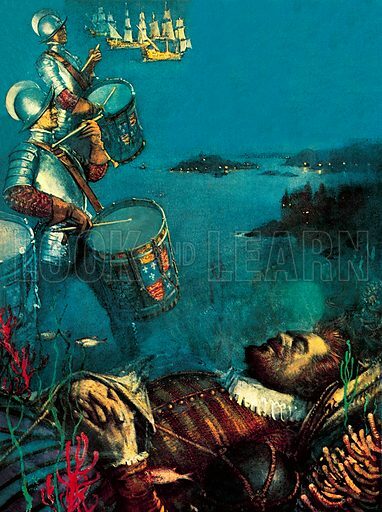 The third picture shows Drake asleep as snare drums sound and the Armada approaches. 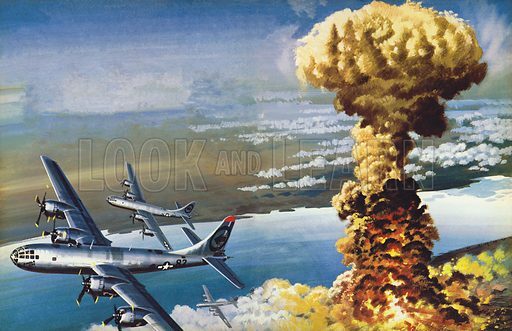 Many more pictures of popular legends can be found at the Look and Learn picture library.